Joseph Evans would serve as postmaster in Edinburg until 1889. The post office was located in his home/shoeshop at 100 N. Main St. Edinburg Virginia. 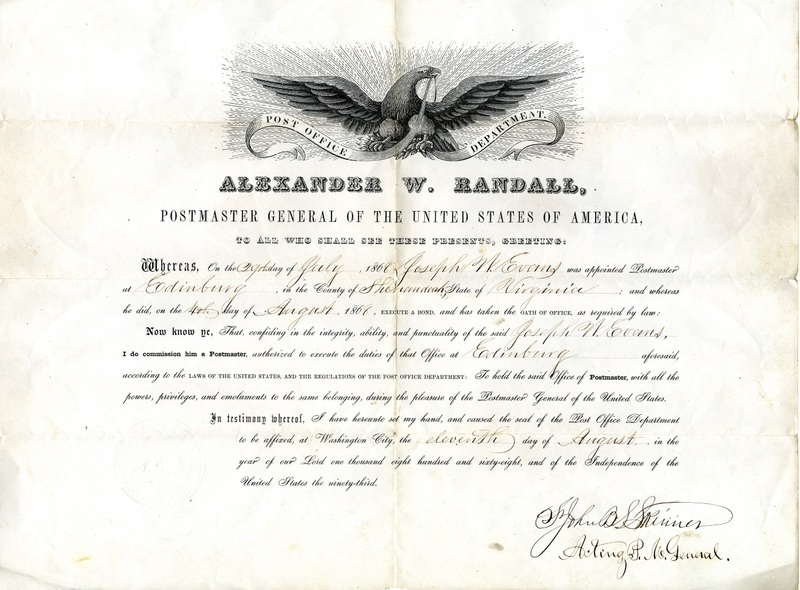 Certificate of Postmaster: Joseph W. Evans Appointed Postmaster, Truban Archives, Shenandoah County Library, Edinburg, Virginia. 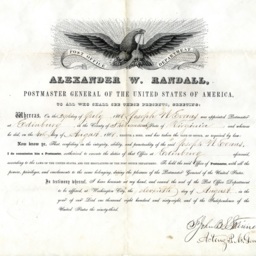 United States Postal Service, “Postmaster Certificate,” Shenandoah County Library Archives, accessed April 19, 2019, http://archives.countylib.org/items/show/11695.